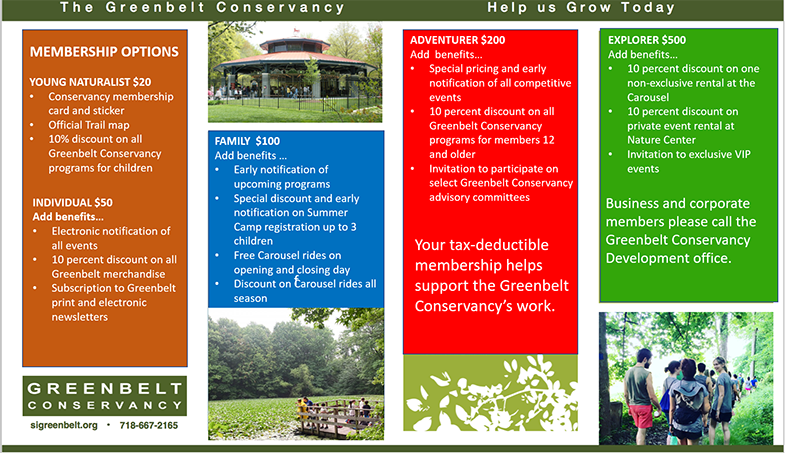 The Greenbelt Conservancy Membership Program provides exclusive benefits and discounts to members of all ages. Your tax-deductible annual membership is an investment in the beautification of the Greenbelt and will ensure the sustainability of our environmental education and recreation programs. Please contact the Greenbelt Conservancy Development Office for details.